Want to quickly see how the open-source software Hippo CMS works? You'll find a free and updated demo installation of Hippo CMS here. 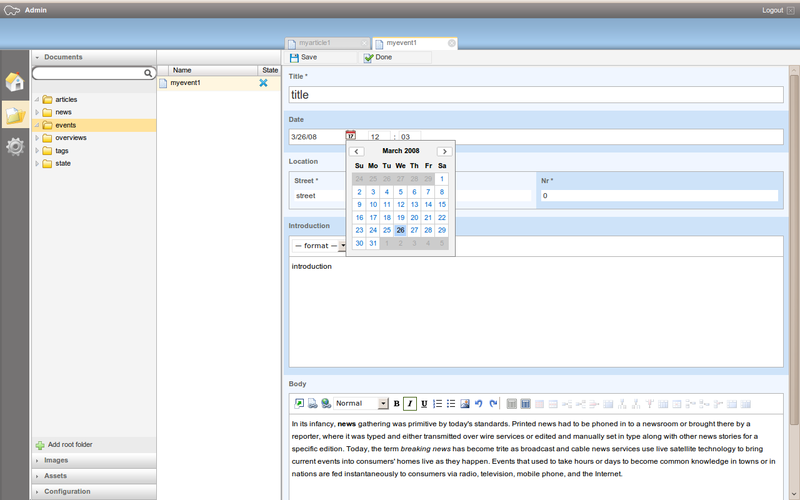 We are currently updating the Hippo CMS demo. Please check back shortly. There will be a new version up soon. 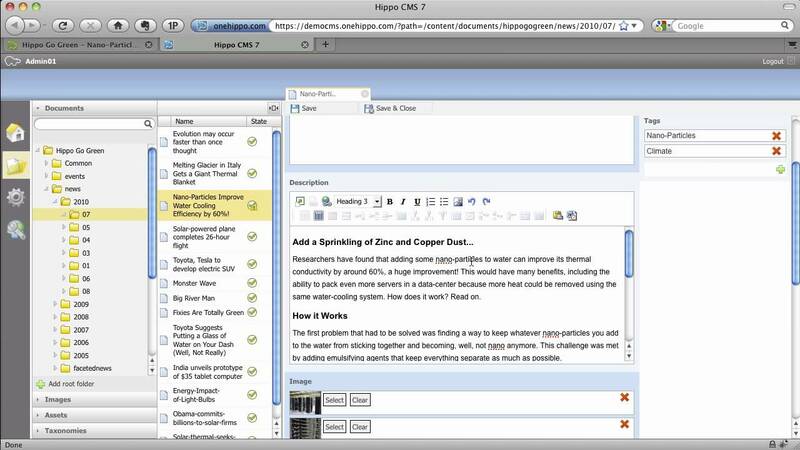 Hippo CMS is an open source content management system released under a dual license. While the core content management system is released under the ASL 2.0 license, some modules are only available under a commercial license. 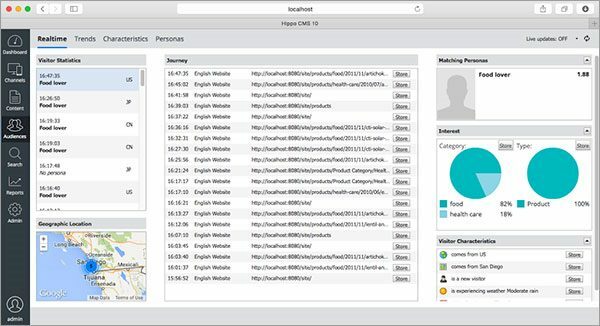 In October 2016, Hippo CMS was acquired by BloomReach company with the goal of combining BloomReach’s technology with Hippo CMS features and create an intelligent digital experience platform. Some example of features offered today by the web content management system are the ability to test campaigns and content, visitor behavior analysis and multi channel campaigns. If you want to get a review of this software you can request a Hippo CMS demo available at their official website. The screenshots below will give you a preview of how the admin demo used to look like across different version and how much the focus has changed. The latest version of Hippo CMS offered by BloomReach offers marketing automation and CRM tools, eCommerce solutions, data management and digital asset management systems. While the list of features was upgraded, it’s architecture remained the same. The software provides a clear separation between content, layout and logic and focuses on improving the user experience with progressive targeting.